The RCVS Impact Award was agreed by RCVS Council in 2017, with the first award being made in 2018. The award is bestowed upon a veterinary surgeon or veterinary nurse who has recently, or is currently, undertaking a project, initiative or similar that has a significant impact on the profession at large, animal health or welfare, or public health. Such impact could have been made through any field of veterinary endeavour, including clinical practice, research, education or veterinary politics. Nominations can be made by any MRCVS or RVN, excluding current RCVS Council and VN Council members. Up to two RCVS Impact Awards can be bestowed in any year. The deadline for nominations for 2019 has now passed. 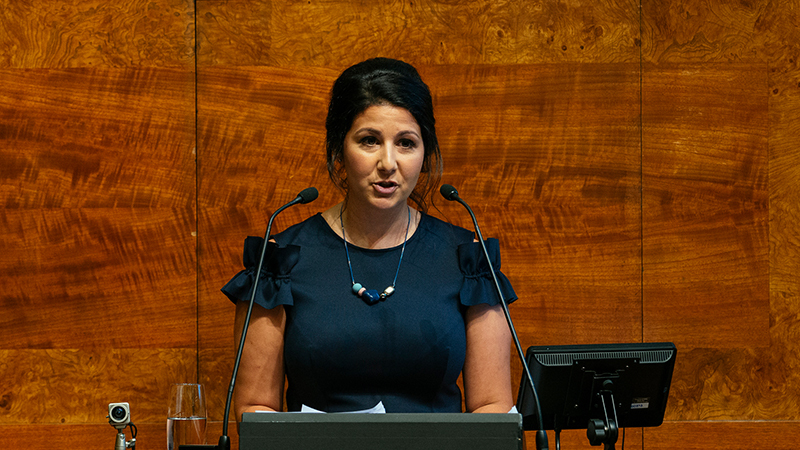 Successful nominees for RCVS Honours & Awards will be invited to attend Royal College Day - our Annual General Meeting and awards ceremony - on Friday 12 July 2019. 2018: Jade Statt MRCVS, co-founder of the StreetVet charity which provides free and accessible veterinary care to homeless pet owners on the streets of London and other cities in England. Please listen to our podcast interview with Jade Statt in which she speaks about the difference StreetVet has made to the homeless community and their companion animals.